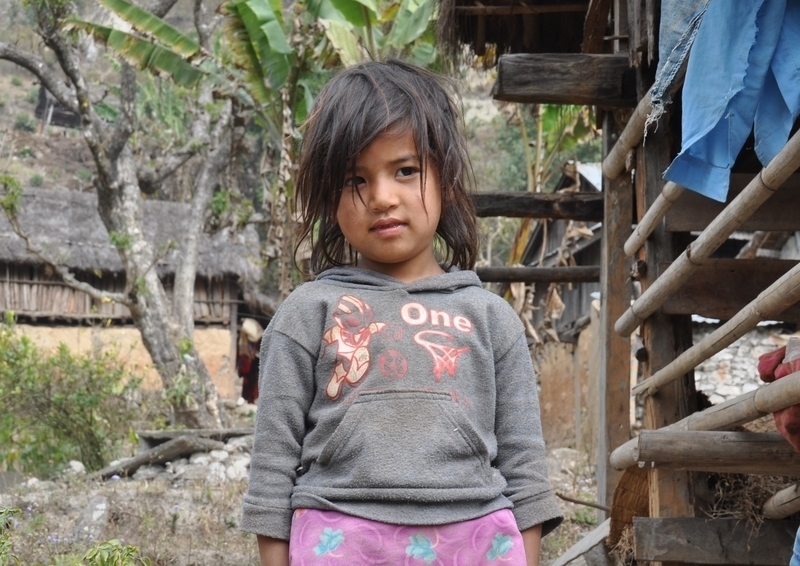 Neesha lives in the Khairang valley with her parents and two younger sisters. They have a tiny farm at the end of the river and scrape a living growing maize, potatoes and rice. They have a few goats and chickens which they sell locally. Neesha’s father also brews an alcoholic drink called Raksi which he sells, but sadly he also drinks much of what he brews and Neesha and her sisters often go hungry and cold because of this. Neesha's situation is similar to many families in the Khairang and like many children, Neesha never had the chance to go to school. Since Stand by Me established the Khairang Bethany School to provide a life-changing education to children and support for families, children like Neesha now know they have a bright future ahead. Neesha attends the Khairang Bethany School and walks every day with one of her sisters. It takes them about 40 minutes to make the journey along the river and up the hillside but the opportunity of an education is worth every step. At school they benefit from nutritious food including locally grown fruit, this helps to keep them full and healthy. The girls love learning and listen attentively throughout their lessons. Neesha is learning maths, science and both Nepali and English language skills. She loves to sing and is learning how to look after her health. Although home life is still difficult for Neesha, through receiving care at school and Stand by Me's long term support for her family, we believe that there is hope. To give families in Colombia the means to improve their lives for the long term, our care centre has been running self-sufficiency courses. One of the courses has been to teach the mothers of our children baking and pastry-making.